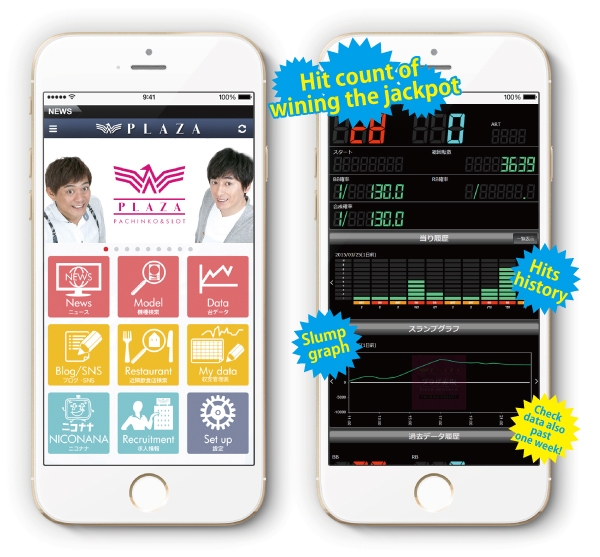 If you download the application, you can see all of the PLAZA about data and information how many wining jackpot. You can check historical data for a week which are hits jackpot including a number of hit records, the slump graph. It is very convenient for choosing and investigating the best machine. The reason why we are researching daily data how many hitting jackpot after closing. It is lucky information for you to determine! It is very convenient because it is equipped with various functions! If you are not able to access the application, please mobile sites of each store.